This easy stitch color block pattern is perfect for beginners! 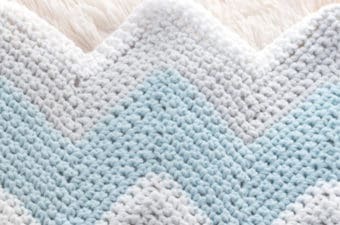 I can promise than this simple colorblocked blanket pattern is the great for those new crocheters! Easy to Crochet Colorful Design! I promise you can learn how to make an easy blanket with my free crochet blanket pattern! 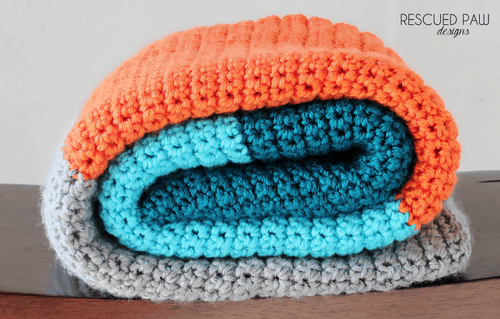 Read on down to find the color block crochet blanket tutorial & pattern. I recently finished a crochet Three Striped Blanket for my living room couch and still being inspired I attempted to make something similar for son Sam’s bedroom. I used Red Heart Soft Yarn for the whole blanket and let Sam pick out the colors. I think he did a pretty good job on his color choices. I love how this colorful throw turned out and how much he enjoys using it. 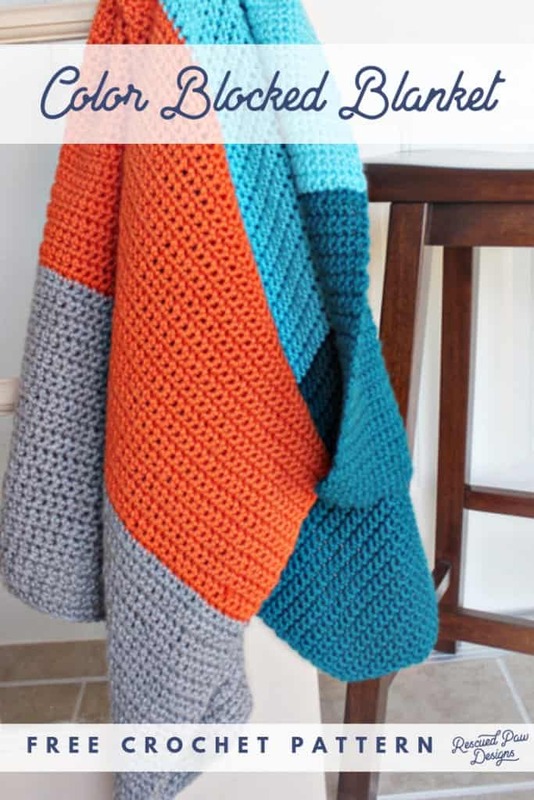 I promise if you are new to crochet then this easy blanket is for you! The best thing about this simple beginner blanket is that it works up so fast and uses only single crochets throughout! Single crochets are the perfect stitch to use when first starting a crochet journey. Read on down to find the full, free throw pattern! Enjoy and..
To change sizes simply chain any # starting chain. Here is a tutorial for changing colors in crochet if needed. When you’re ready to change colors pull up the first loop for a single crochet in the old color, then pull the new color through the last two loops to complete that single crochet, it’s that easy. Chain 1, Single crochet in each stitch across.Turn. Repeat Row 2 until you reach desired length. Cut yarn & weave the cut ends back and forth through the last row of stitching. 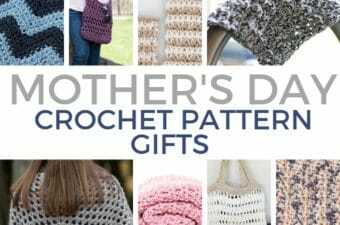 If you love this project, I am always pinning crochet projects and tutorials from the internet. 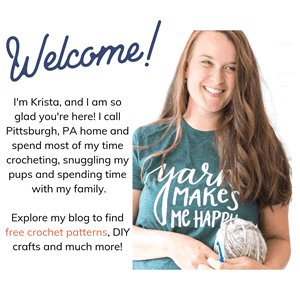 Check out my Pinterest board for even more crochet patterns by clicking HERE! 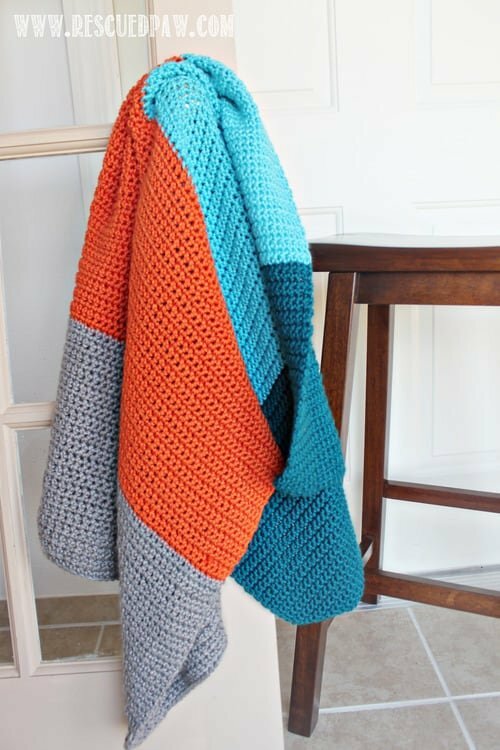 If you have any questions about this simple color blocked crochet blanket pattern, please feel free to ask! 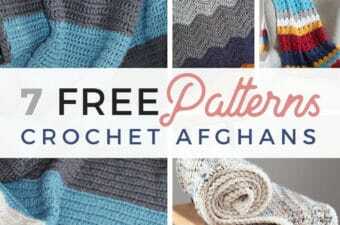 Want even more free crochet blanket patterns? Try the Charlotte Blanket or the Granite Crochet Throw to add to your collection. Hi there, thank you so much for inspiring my next crochet project – I will make a blanket (either knit or crochet, not quite sure yet) in exactly the same colors you’re suggesting – they’re absolutely gorgeous. You are so welcome Johanna! I am so glad you are inspired! Crochet it is! The yarn arrived today, always an exciting moment :-). Colors are just like I imagined, I’ve already done the math and chained 300 in turquoise. I’ll probably end up going with DC instead of SC because my yarn is thinner than the one you used. Lovely project, it has made my day so much brighter already! I am so glad! Have fun! DC will work up faster too which is always great. 🙂 Happy Crocheting. I’ve tried making this piece several times now and every time I start and get to row 5 my work continues to curl – Suggestions on how to fix that? Did yours do that in the beginning and then straighten out as you moved forward? Love your work! I finished an afghan in the Harley Davidson colors for a son for Christmas this past week.. I did a dc with a J hook. I agree this is a great way for a beginner to learn. I am not a beginner but sometimes it is a good way to crochet and not have to think. love your site. i’m a “newbie crocheter” and your blanket patterns are terrific !!!! can’t wait to do the “ganite blanket” !!!! ty 4 your site !!!! HAPPY BIRTHDAY #8. They grow up so fast. Before you know it they are out the door on their own. That shows what a great Mom you are. All you can do is give them all your love. I hope he had a great time. Thank you Janice! He did! Thank you so much again! Hi! This is written in US Terms.